All this can be summarized like so: the US made an unholy mess of yet another country, was the first to run, and now everybody runs, except for Russian and Chinese forces who try to evacuate their nationals. Yet another major foreign policy success for Obama who had presented Yemen as the shining example of anti-terrorism done right. In the meantime, the local al-Qaeda franchise is using the Saudi-lead aggression to liberate its members from prison, the US continues to pretend to bomb al-Qaeda in Iraq while supporting the same al-Qaeda in Syria and Yemen, Saudi Arabia and Israel are jointly bombing the Shia in Yemen and Iran is accused of interfering in Yemeni affairs. How utterly crazy AngloZionist policies have become?! This would all be outright hilarious if people were not dying. And it is going to get a whole lot worse if the Wahabi crazies in Riyadh go ahead with their plans for a suicidal and fully illegal land invasion of Yemen. 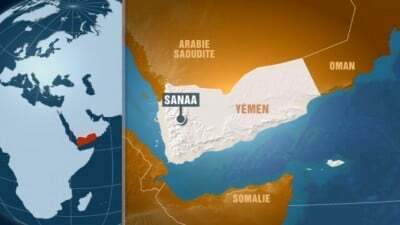 My hope is that the Saudis follow the typical American strategy and just bomb from high altitudes a country with only primitive air defenses (the Yemenis still managed to shoot down at least 2, possibly 3, “coalition” aircraft and one drone!). So now we have yet another “gangster mob” ganging up against one small country: Saudi Arabia, United Arab Emirates, Bahrain, Kuwait, Qatar, Jordan, Morocco, Sudan, Egypt and, of course, the USA and Israel, supported by al-Qaeda, all together against the Yemeni Shia. And, of course, fighting the Yemeni Shia objectively means supporting al-Qaeda in Yemen. Thus, it would be fair to say that Saudi Arabia, United Arab Emirates, Bahrain, Kuwait, Qatar, Jordan, Morocco, Sudan, Egypt, the USA and Israel are all supporting al-Qaeda. A Middle-East without al-Qaeda/ISIS is possible, of course, this is the one Iran, Syria and Hezbollah are fighting to create. But they are called “rogue states” and members of the “axis of evil” while the multi-national al-Qaeda support coalition would be the “axis of kindness” I suppose. I will repeat this again and again, here we’re faced with yet another example of how the AngloZionist Empire is finally showing its true face: not the gentle face of human rights, democracy, international law and progress, but the ugly, brutal and stupid face of ignorant violence, support for the scum of the planet (Nazis, Zionists and Wahabis) and imperialism. The period of “capitalism with a human face” is now clearly over and we are now living exactly what Lenin had predicted: imperialism as the highest stage of capitalism (and no, I am neither a Leninist nor a Marxist but, in the words of Malcolm X, “I am for truth, no matter who tells it”). The risks of yet another major war are truly huge. Make no mistake, Iran can make minced meat out of this “coalition of kindness” and if it comes to an overt conflict the US will have to bail out its numerous allies in the region: the comprador elites who sold out their own religion, country and people to the AngloZionist Empire. Thus, not only is the USA taking the risk of starting a major continental war in Europe by supporting the Ukrainian Nazis, they are also taking the risk of starting a major regional war in the Middle-East by supporting the Saudi Wahabis and the Zionist Israelis. I really wonder when our zombifed society will wake up to the dangers we are all now facing.